Home › Office 365 › Microsoft Teams › Microsoft Teams – Where have all my chats gone to? Microsoft Teams – Where have all my chats gone to? Microsoft Teams has a great feature for chats. 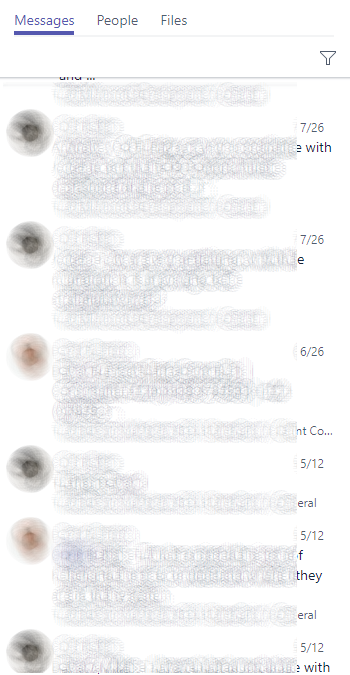 You can very quickly start a chat with a colleague of multiple colleagues and all of these chats are kept within Microsoft Teams forever. Well at least until you delete the team of course. I have found however that only the most recent 2 weeks worth is still there with the default bot message showing the date when I started my chats. Where have all the other chats gone to then? How do I get to these? At the top of the list there is a View name ‘Recent’. 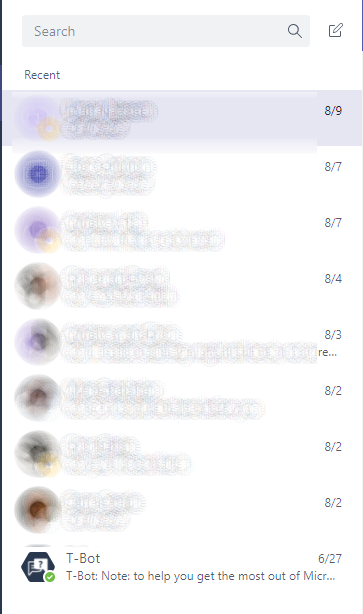 At the moment there is only a recent view within the Microsoft Teams App. So there doesn’t seem to be a way to get to the older conversations. Well si mply use the search and find your older conversations. You can now filter by either messages, people of files. A bit of a hidden feature but very useful to find your older data in Microsoft Teams.